- Anvil 7.2 Ounce Adult Full-Zip Hooded Fleece. 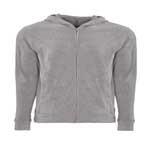 - 7.2 ounce 75/25% combed ring spun cotton/polyester fleece with unlined hood. - Heather Grey 70/30 ring spun cotton/polyester. - 1x1 rib spandex on cuffs and waistband. - ¼” contrast white neck tape. - Contrast white metallic zipper. Anvil 7.2 Ounce Adult Full-Zip Hooded Fleece. 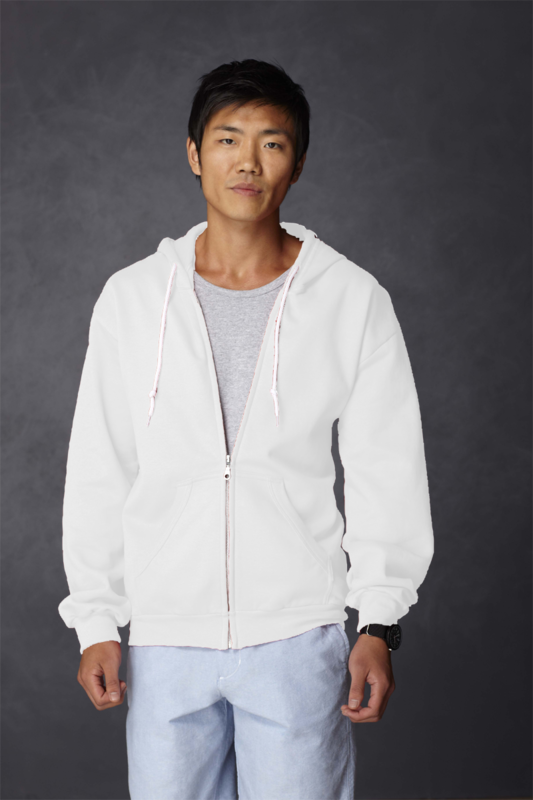 7.2 ounce 75/25% combed ring spun cotton/polyester fleece with unlined hood. White drawcord. 2” rolled forward shoulder. Heather Grey 70/30 ring spun cotton/polyester. 1x1 rib spandex on cuffs and waistband. ¼” contrast white neck tape. Contrast white metallic zipper. Back patch. Woven label. Transitioning to side seams in 2019. Oeko-Tex® Standard 100 Certified. Woven label. Sizes: S-3XL. Neutral: White. Heathers: Heather Grey. Colors: Black, Charcoal, City Green, Green Apple*, Independence Red*, Navy, Royal Blue. *Colors ship from Eden, NC.